The hardware requirement for AI and deep learning applications has evolved exponentially. With a large number of computations being processed from AI-based and deep learning-based systems, there is a need for a stronger and reliable support system to carry it. This is where GPUs (Graphics Processing Unit) and FPGAs (Field Programmable Gate Arrays) come into the picture, which has considerably sped the development of AI and ML. Both FPGA and GPU vendors offer a platform to process information from raw data in a fast and efficient manner. While in an earlier article we have compared the use of these two AI chips for autonomous car makers, in this article we would do a comparison for other data-intensive work such as deep learning. While GPUs have been dominating the market for quite a long time and their hardware has been aggressively positioned as the most efficient platform for the new era, FPGA has picked up both in terms of offering high performance in Deep Neural Networks (DNNs) applications and showing an improved power consumption. They are therefore largely being adapted to carry data-intensive work such as deep learning. In the points below, we would do a quick comparison of which is better on the various parameter. 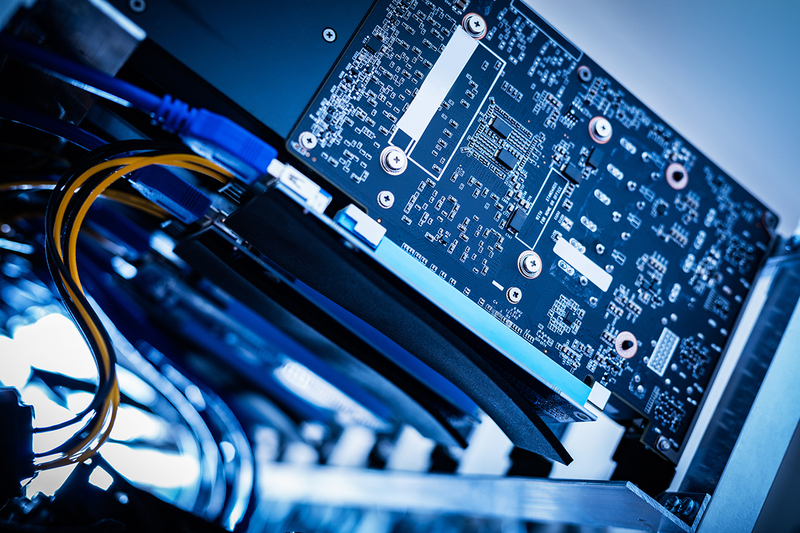 GPU was initially designed to serve the need for fast rendering and mainly for the gaming industry but it soon picked up in the research around ML as well. With advancements such as adoption of NGX technology and more, GPUs have evolved more than ever before. It has improved in terms of hardware and software architecture. With ML libraries such as Caffe, CNTK, DeepLearning4j, H2O, MXnet, PyTorch, SciKit, and TensorFlow it has marked progress more than ever before. The current GPUs are very fast for AI learning and many companies are offering a high-speed one for accelerating processing necessary for deep learning applications. A GPU usually has thousands of cores designed for efficient execution of mathematical functions. For instance, Nvidia’s latest device, the Tesla V100, contains 5,120 CUDA cores for single-cycle multiply-accumulate operations and 640 tensor cores for single-cycle matrix multiplication. It has been flaunting massive processing power for target applications such as video processing, image analysis, signal processing and more. They are not very new and have been around for a while. The main differentiating factor is that they can be reconfigured as opposed to the other chips. It allows for specifying hardware description language (HDL) that can be in turn configured in a way that matches the requirements of specific tasks or applications. It is known to consume less power and offer better performance. It also offers advantages such as using OpenCL that makes programming quicker and easier. It can also offer a cost-effective option for prototypes. It is much more flexible and is, therefore, a good choice for applications that involve customer-centric applications such as digital television and consumer electronics.